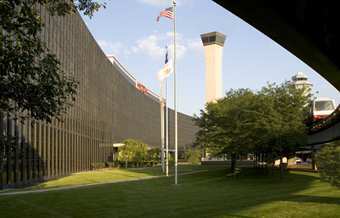 I’m at one of my homes away from home tonight, the O’Hare Hilton, in for my annual November visit. This is my eighth consecutive November here, with some other visits at other times of year along the way. It’s less fun being here without Gail. Two years ago, we came together, two days ahead of time, and stayed the first two nights in the Loop, attending a Lang Lang concert and visiting the Art Institute, among other activities. Then we came back out to the airport for my meeting. I blogged about it at the time in multiple posts, such as this one. Last year, we timed our trip to France and Italy so we would stop in Chicago for my meeting on our way back to Seattle. This year, I’m on my own. If I weren’t already getting tired, I would write about my day, not that flying from Seattle to Chicago is all that interesting. But I almost wrote about TSA and security yesterday, wondering if I would be put through one of those full body scanners this morning and linking to various articles about the idiocy of TSA, and so I was thinking I might write about that. It seems to be the issue of the day. The Seattle Times reprinted a Washington Post article about the scanners on its front page today. The NYT had something about them. Maybe I have nothing to say that hasn’t already been said. Well, let me just suggest that you read Patrick Smith’s latest Ask the Pilot piece in Slate (hat tip: James Fallows), about the general issue of airport security, and two recent posts by Jeffrey Goldberg in The Atlantic about the scanners. After reading them, you’ll appreciate that I was ready to do battle this morning. Sure enough, the new security area leading to the D and N gates at SeaTac has been re-organized, a sign explaining as we waited for the TSA agents to stare at our driver’s licenses with those little flashlights that the remodel was done to install body scanners and should be ready by November 1. The word was that once we got through the identity check, the line to the left was moving faster than the others, so I headed that way. No body scanner there. I think that was the difference. But just parallel to my line was a new sight. There were about eight TSA agents sitting hunched over computer screens. It occurred to me that they might have been studying the scans. I couldn’t see any scanners from where I was standing, but maybe that’s the point — the agents aren’t supposed to see the scanners either, so they don’t know whose naked bodies they’re examining. Even with no scanner, our line moved slowly. I wasn’t going to write about my boring day, was I? Okay. Nevermind. I didn’t do battle. I’ll leave it at that. Maybe I will tomorrow when I go through O’Hare security, though I’m going to be in a rush, so I probably won’t have time to make a fuss. The wonder of staying at the O’Hare Hilton is that you never need to go outdoors. You can fly in, get to the hotel under ground, stay in it, eat in it, meet in it, then go back to the terminal. To avoid this fate, I always make it a point, whatever the weather, to go outdoors. Not that there’s anywhere to go. After dinner tonight at Andiamo, the Hilton’s restaurant and one I’ve gotten to know well, I went out a door and walked along the sidewalk, parallel to the lobby, just to get a sense of place before re-entering the lobby. I got my usual ground level view of the parking garage, which I can see better from my room on the 10th floor (the highest). I can look down at the top level of the garage, which is always fun to do in the morning, when you can see people parking and rushing to get to their flights. So much to look forward to tomorrow. What isn’t so much fun is being stuck in a windowless meeting room all day, with no sense not just of place but of time or weather or anything else. Still, even that’s home — the conjoined Athens-Berlin meeting rooms on the mezzanine. That’s where I’ll be in just 9 hours. I better call it quits here.